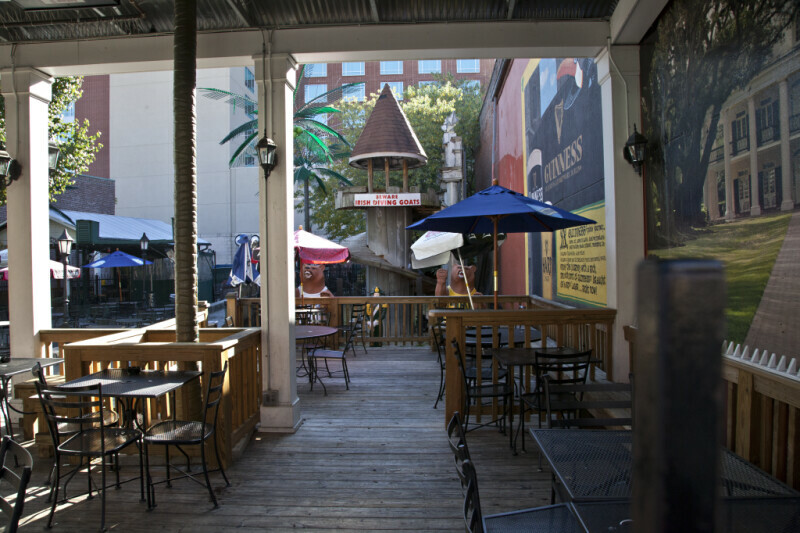 This patio provides outdoor seating for the patrons of Silky O'Sullivan's Irish Pub. There are mural s painted on the exterior walls of the building. In the background, there are two bear sculptures, and a human figure. The sculptures are placed in an area that houses several goats.